Salish Sea Ballet is excited to announce that Anabelle Mountford has been accepted to the Oregon Ballet Theatre Summer Intensive. Entrance to the program is competitive and by audition only. Oregon Ballet Theatre holds auditions each winter in major cities around the country for dancers age 12 and older. 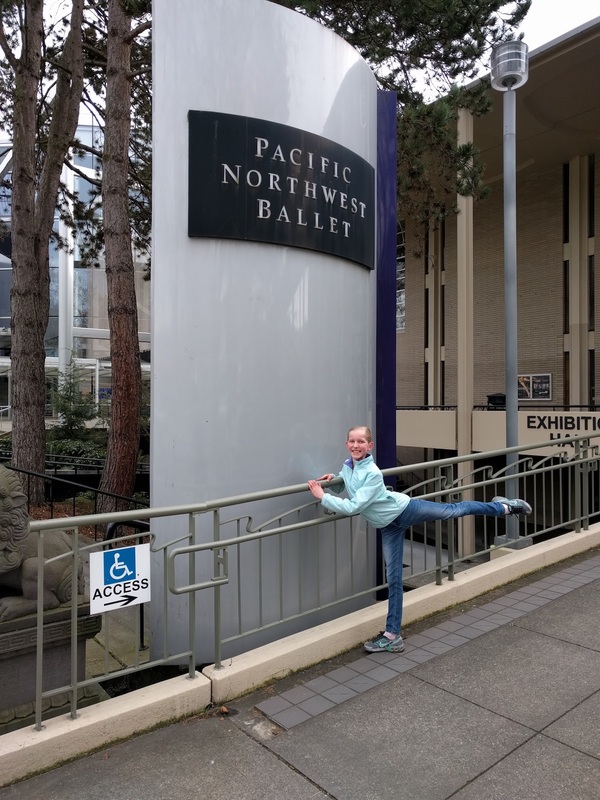 Anabelle traveled to Seattle in January with Salish Sea Ballet to audition for the program among dancers age 12-14, and was chosen among hundreds of applicants from across the US. A summer intensive is a full day dance program where aspiring professional dancers study ballet technique,pointe, pas de deux, variations, repertory, character, modern/contemporary, flamenco and improvisation. The program also includes instruction in pilates, dance nutrition, and dance history. Anabelle will attend the four week session in Portland, Oregon in July. She will study with Oregon Ballet Theatre faculty, artistic staff, principal dancers, and guest teachers. Anabelle says that she is “most excited to be taught by amazing teachers”. She is looking forward to improving her technique during the four weeks of intensive study. Anabelle currently takes six classes weekly in classical ballet, pointe, and contemporary dance. We are proud of you, Anabelle! I love it and can’t wait! So excited for you Anabelle!! You’re amazing. Keep up the good work! We are so proud of you Anabelle and look forward to having you with us during this exciting time! Anabelle has determination and joy in her dancing and LOTS of stamina. She’s going to need it.